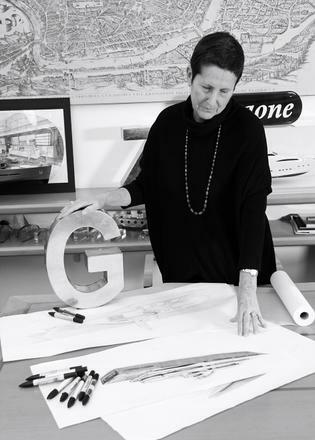 Boat International is saddened to learn of the passing of renowned Italian designer and architect Paola Galeazzi. A founding member of Zuccon International Project, Paola met Gianni Zuccon in 1973 while studying architecture at La Sapienza University in Rome and the pair became partners in life as well as business. Three years later, the pair won their first commission for the Posillipo yard - the Technema 65 - which was launched at the 1978 Genoa International Boat Show. The success of this project led to the foundation of the famous Rome-based studio, which also designed all of the buildings for the European Space Agency. For more than 40 years, Paola worked as sole administrator of Zuccon International Project, playing a key role in all core design decisions and pioneering the use of 3D modelling software. While her work has influenced many shipyards, from Apreamare to Baglietto, the partnership with Ferretti Group, which began in 1990, is arguably the most significant. 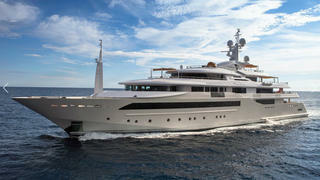 80 metre Chopi Chopi, 58.2 metre J’Ade and 74 metre Cloud 9 were all borne of this close collaboration between Zuccon International Project and the Group’s CRN shipyard in Ancona. When asked what inspires her designs, Paola recalled a visit to the Antelope Canyon in Lake Powell Utah. “Sailing its waters, alone, surrounded only by nature, was like being in another world,” she said. 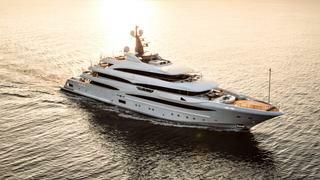 “This is the way I want people to feel on the yachts we design”. Paola is survived by her husband Gianni as well as her children Bernardo and Martina Zuccon.